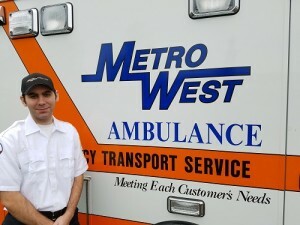 Robert found his calling in EMS when he began volunteering at a small rural fire department. He was immediately intrigued by the fast-paced environment, and set upon the path to becoming a Paramedic. Now, with eight years of experience in the field, he is able to share his experience and wisdom with others. Robert is always happy to train new employees, and leads by example to instill in new team members the core values of teamwork and dedication. “I truly enjoy helping new employees become familiar with the system,” says Robert. Robert’s wife, Jennel, who is also a Paramedic, is a source of deep inspiration for him at home and at work.